Go on an adventure with a few old friends in Solo: A Star Wars Story. Expand your Star Wars collection with the scum of the dangerous criminal underworld frequented by Han Solo. 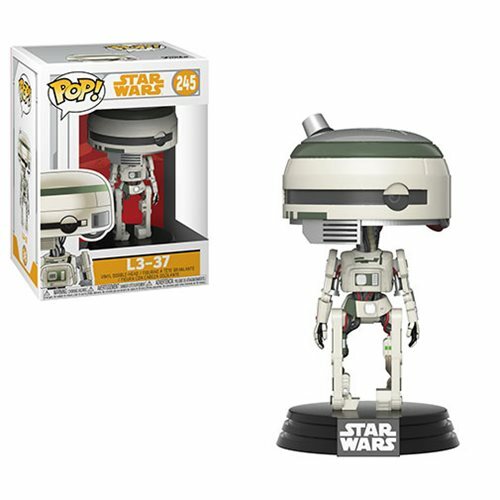 This Star Wars Solo L3-37 Pop! Vinyl Bobble Head measures approximately 3 3/4-inches tall and comes packaged in a window display box. Ages 3 and up.